Recurrent training is a part of every professional flight department. Polishing skills, reviewing procedures, and practicing maneuvers annually with an experienced instructor are a necessary part of flying high-performance aircraft. Texan Flight Ops offers T-6 Texan recurrent training. The courses can be tailored to your individual requirements, but are typically structured around a one or two-day course consisting of ground school and flying. Texan Flight Ops instructors fly and teach in the Texan on a daily basis. Take advantage of their extensive knowledge by scheduling your Recurrent Training today! 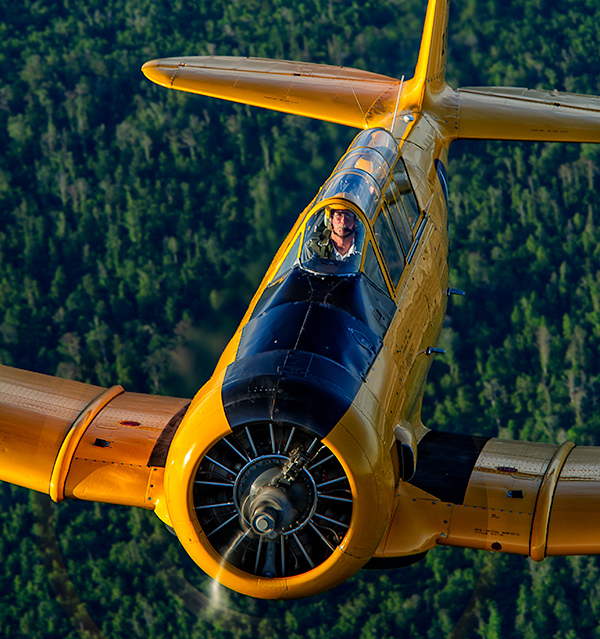 Contact us today to schedule your T-6 Texan recurrent training.